OCTOBER 2007 -- As I think about October when we see God’s world change colors as the leaves lose their green chlorophyll and the colors of their elements appear, I am reminded of the riches we have in just being here on this little ball in God’s great space. While some are seeking the great wealth that is evident in the extremely high salaries celebrities are paid today, this should not be our major objective in life. 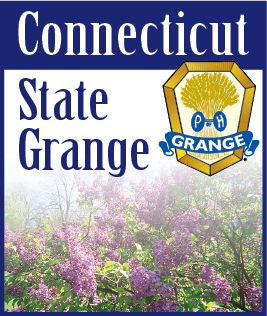 The Grange founder, Oliver Hudson Kelly, recognized that a greater goal in life was to increase farm production and deemed that a good way to do that was to get farmers together to talk about farming practices. A way available to him at the time to do this was to form a fraternity and I best not forget Caroline Hall who helped get women involved because of her recognition of the important part women played on the farms of that period. Times have changed a great deal since O. H. Kelly formed the Grange. The world has divided the labor so that we today use money as a medium of exchange whereby we buy goods and services and don’t have to produce all we need. Excess money may be invested in many financial instruments which produce interest and provide capital for others to use in a productive capacity. When it comes to pure Money handling, Return On Investment (ROI) is good way to look at what is happening to invested funds, but when purchases are required, I think some value must be placed on aesthetic and satisfaction elements as well. So, for October, I will be praying for your life to recognize the value of ROI on invested funds. that you will be happy with your purchases and that you will adapt goals in your life of helping others around you to have a better way of living as O. H. Kelly did.